Johnathan "Jon Jon" Rodriguez, left, and Esteban "Steve" Rodriguez, right. WILMINGTON, Ill. (WLS) -- Police in southwest suburban Wilmington said two men have been charged in relation to the death of a 24-year-old woman found dead near the Kankakee River, who was reported missing from Chicago's Northwest Side. The body was found on July 8, but the Will County Coroner did not identify her as Martha 'Tica' Sanchez until Thursday. Sanchez had been reported missing from Chicago's Portage Park neighborhood since July 4. Police said that a joint investigation by the Illinois State Police, Will County State's Attorney's Office and Blue Island Police Department resulted in the arrests of two men in connection with Sanchez's death. 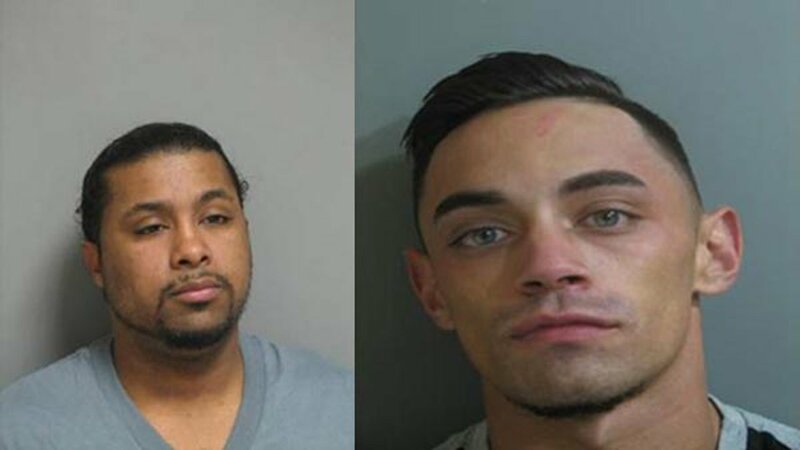 Jonathan "Jon Jon" Rodriguez, 29, of Blue Island and Esteban "Steve" Rodriguez, 27, of Wilmington have both been charged with felony concealment of death and felony intimidation. Police said Esteban was armed with a handgun when taken into custody. Both men are being held on $1 million bond, police said. The investigation is ongoing.